Pilgrims depart from St. Joseph Catholic Church (Manchester) headed for the Carmelite Monastery. Lunch break along the way at Longview Farm Park. The Holy Sacrifice of the Mass will be offered upon arrival at Carmel of St. Joseph. Following Mass, the pilgrimage will head towards St. Joseph Catholic Church in Clayton. Dinner will be served upon arrival at St. Joseph in Clayton. Afterwards, we will spend time in a Holy Hour with the Blessed Sacrament. Confessions will be heard. After Holy Hour, we will have time for socializing. Phase Four begins Sunday morning with morning prayer. After breakfast, we will depart for the Shrine of St. Joseph, arriving for the 11 a.m. Mass. The route will include a stop for prayer in front of Planned Parenthood on Forest Park Blvd. *All times are approximate and subject to change due to travel times, weather, rest breaks, etc. 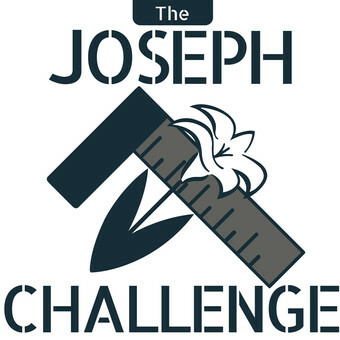 **Are you a priest and want to help out on the Joseph Challenge Pilgrimage? Make sure to indicate so on the form when you register. The Joseph Challenge Pilgrimage is named in honor of St. Joseph, the foster father of Our Lord. He is looked to as a role model of authentic masculine virtues, such as chastity and hard work. The Pilgrimage takes place near the date of the Feast of St. Joseph the Worker, which is celebrated on May 1st. It is organized by Catholic laymen specifically for men 18 years of age and older. The second destination on the Joseph Challenge Pilgrimage is at Carmel of St. Joseph, otherwise known as the Carmelite Monastery. Mass will be offered in the beautiful chapel. The last stop of the first day of the Joseph Challenge is St. Joseph Catholic Church in Clayton, one of the older parishes in the Archdiocese of St. Louis. Pilgrimage activities at St. Joseph's include Holy Hour with adoration, confession, and benediction, dinner, and social time. Pilgrims can also sleep overnight at St. Joseph in preparation for Day Two. The final destination of the Joseph Challenge is the Shrine of St. Joseph in Downtown St. Louis, Missouri, one of the most breathtaking churches in the region, and the site of a Vatican-authenticated miracle. Mass will be offered upon arrival, and pilgrims will have the opportunity to take a tour of the Shrine. Have questions? Use the Contact Us page or check out these Frequently Asked Questions.